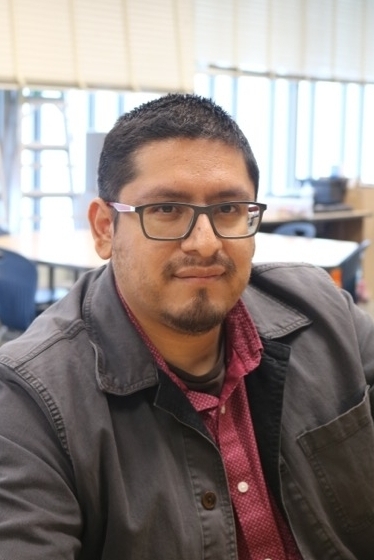 Ralph Gomez has worked as an LAUSD science teacher since 2009. He has taught a number of classes, including: Biology; Marine Biology; 7th, 8th, and 9th grade science; and AP Environmental Science. His classes are full of exposure to science and its relationship to our society. He does his best to have students practice science outside the classroom by providing many opportunities for hands-on activities and field trips. 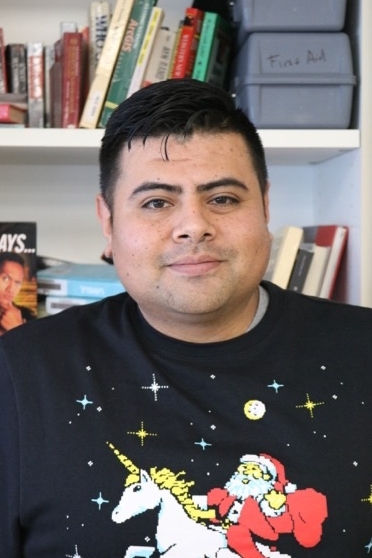 Coming from an educational background that did not expose him and his peers to enough science, Mr. Gomez has made it his goal to immerse his students in a range of activities. He was born in East Los Angeles, California and went to college at Cal State Long Beach and Cerritos Community College. A moment that stands out in his mind is the day of his graduation from college. Mr. Gomez was one of two Latinos in his graduating class of 2006. He hopes to help other minority students be able to look around at their college graduation, and see many faces similar to their own. Mr. Molnar enjoys writing, running, music, a good meal among friends, and spending time with his wife and kids. I was born in Guadalajara, Jalisco México raised in a small town called, Teuchitlán, Jalisco. I came here to the USA when I was a child (6yrs old) in 1986 and been living in California since then, in the city of Reseda in the San Fernando Valley. I come from a family of 3 brothers and a sister; I am the oldest. One of my favorite hobbies is art and relaxing. My favorite color are black, red and royal blue. I have two B.A.s from Cal State Northridge and a Masters in education from Pepperdine University and my California Teaching Credential from Pepperdine as well. I have been teaching for 12 years in LAUSD, and taught in my first teaching job for two years in a middle school called John Adam Middle School, in Santa Monica part of the SMMUSD. Ms. Drinkward has been working with teenagers since 1985, when she was still a teenager herself. She has a passion for reading, writing, film, photography, and baseball. GO DODGERS! She practices Hot Yoga to stay healthy and relieve stress. She loves spending time with her husband, Mike Herrmann, and their two amazing kids, Noah and Sadie. She loves her dog, Scully, and her cats, Uno y Dos. Drinkward loves teaching English and AVID because she gets to help students know the value of reading, writing, and pursuing their academic and professional dreams. 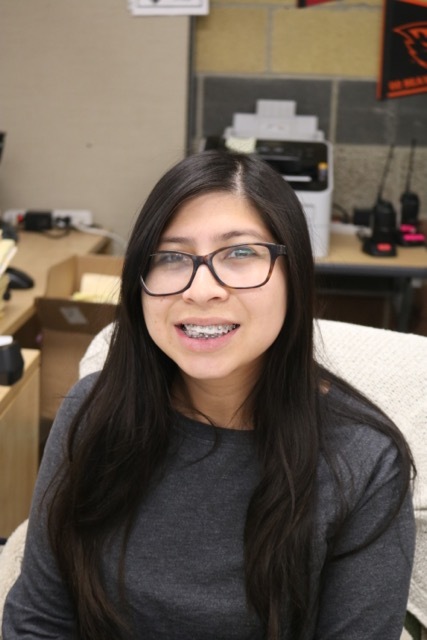 What she loves most about her job is the opportunity to get to know her students; the family atmosphere at ALC is what makes her love coming to work each day. I love reading, taking walks in nature, and visiting new places. I've lived in San Francisco, New York, Berlin, Manchester, and Santa Barbara. I like to read, take walks in nature, learn new things and travel. I love teaching because my students always surprise me. Anthony Nittle teaches 10th grade English and ELD at the Academic Leadership Community, located in downtown Los Angeles. He also coaches the Miguel Contreras Swim Team and leads the School of Rock Guitar Club. An Arizona native, Nittle lives in Los Angeles with his wife and dog. His favorite book is 'A Desert Solitaire', by Edward Abbey. He is a graduate of the University of Arizona with a BA in American Literature and Creative Writing. He holds a Masters in Educational Administration from Cal State Dominguez Hills. I am a first-generation Thai American born in the city of Los Angeles and raised in the city of Bangkok. I spent most of my childhood and adolescent years learning the art, language, and history of Thailand. I came back to California as an English learner to finish my last two years of high school while working at a nearby restaurant as a waitress. Soon after, I was a student and an employee at Santa Monica College studying liberal arts and working at the college bookstore. I, then, transferred to Cal State Northridge where I earned my bachelor of arts and completed the Teachers Education Program at UCLA. I believe that school is for everyone and that all students can learn, overcome any obstacle, and become successful. As an educator, I am here to give all students the support and care they need to pursue higher education and their future careers. I am a Xennial. I love swimming, painting, music, food, and life. My hobbies are reading, traveling and photography. I have been a teacher for 10 years! I was born in Guatemala and immigrated to the U.S. when I was seven years old. I am a first generation high school and college graduate. I enjoy walking, hiking, jogging/running, crocheting, assembling jigsaw puzzles, eating sashimi, and spending time with my family and friends. It is an honor to work at ALC and have the opportunity to give back to the community I grew up. UCLA, B.A. in History with Minor in Education in 2016. M.Ed. Expected from UCLA in 2018. I am originally from Sacramento, CA. In my free time, I enjoy going to the beach and binging shows on Netflix. I also love music and have been playing piano and guitar since I was in middle school and frequently attend concerts for my favorite artists. I am a Dodgers fan and baseball/softball are my favorite sports. This is my first year at ALC and I am so excited to be here! Go Cobras! I am a native of Compton, CA. My hobbies are writing short stories and bird-watching. I take dance classes regularly (ballet/jazz) to stay in shape. Mr. Martin-Rowe grew up in the East Bay and migrated to Los Angeles for school. When he is not at ALC, he enjoys camping, working on his in-progress YA novels, reading, attempting to start Twitter wars with people he dislikes, traveling, and spending time with his wife and two children. What Mr. Martin-Rowe loves most about teaching is being able to see his students grow as critical thinkers as they learn more about themselves and the complicated world we live in. Ms. Sanchez grew up in Los Angeles. She is a first generation high school and college graduate. Her history classes are Social Justice oriented. California Polytechnic University SLO, B.S.